Life Style Of Betty: CAN'T STOP SMILING! 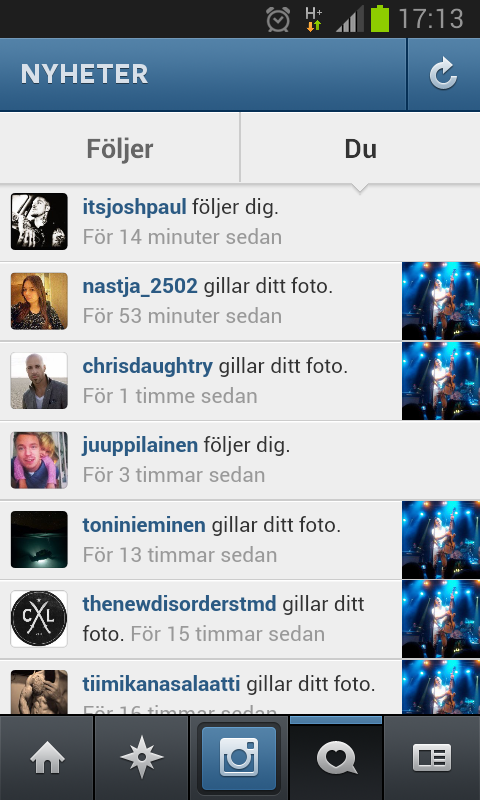 You can't imagine the little heart attack I've got when I logged in to my Instagram account to see that Chris Daughtry liked my photo from their performance at Helsinki and that the bass guitar player Josh Paul started following me. I literally flying on little pink clouds right now and smiling like an idiot!